Richiardi Jr. is the stage name of a magician named Aldo Izquierdo. He was the son of a magician as well, his father Richiardi which is known by the nickname Richiardi The Great. 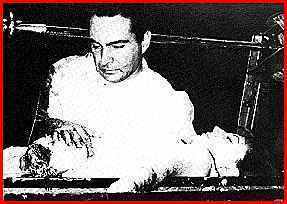 Richiardi is a famous stage magician with illusions action such as sawing a woman. Which makes it different from the magician famous and others are in the design stage of action that dramatically such as using fake blood when sawing a woman in front of the stage so that they can make a great impression for the audience. 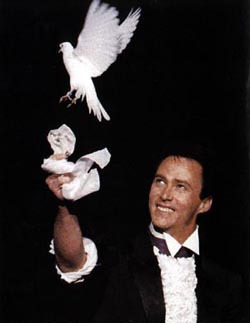 One of his famous stage act is in his show ‘The Incredible World of Magic and Illusion’. Lance Burton is one of the greatest magicians of all time. He was inspired to become a magician at age 5 when he was asked to volunteer to go forward on a magic show Harry Collins. Harry Collins is then taught the art of magic to Lance Burton. His career in the world of magic starts by winning the race in 1977. Later he became more famous, and finally he made his own stage in Monte Carlo, Las Vegas known as ‘Lance Burton’ theater worth 27 million dollars. One well-known action is to escape from the longest and fastest roller coasters in the USA called ‘Desperado’. 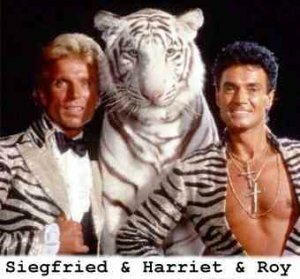 Siegfried and Roy are the German duo – Americans are notorious performances of illusions in Nevada, Las Vegas. One of them is the famous show when they use the white tiger on stage them. Both magicians have a captive tigers to be used for the purposes of their magic. Their famous stage act is when they swapped positions in their bound and locked in two separate sealed room. They are both included in the Hollywood Walk of Fame because of its popularity, and in its heyday around 2000 they included the Top 100 highest paid celebrity in the USA. Mark Wilson begin his career as a shopkeeper in a magic shop named Douglas Magicland Shop. Then he began to learn the simple magic trick to be displayed. Along with the increased ability he finally made its debut at a local television station in Dallas with a show entitled ‘Time For Magic’. He also was the one who pioneered the magic video when the video tape was first introduced. He produces his magic video in black and white version with the title of ‘Magic Land of Allakazam. 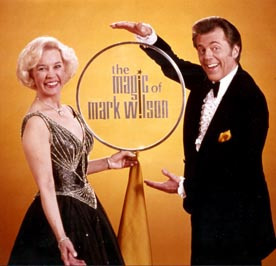 He also had Mark Wilson Magic University and produced several books manuals to learn magic. 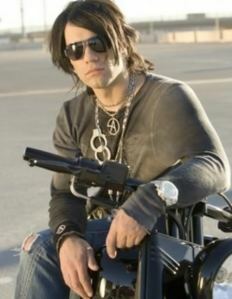 Whose real name is Christopher Nicholas Sarantakos, Criss Angel is one of the largest new magician of this century. His bloody Greek-American and display the genre of magic illusionist, escapologist and stunt performer. Actions on his famous among other things running in the water, flying across the building, and escaped from the water barrel. He had a famous show called Criss Angel: Mind Freak. He also never eliminate Lamborghini in front of the eyes of the audience, and one of the action is to get him famous when he escaped from c4 bomb blast in a room. Two of his other show title is ‘Believe’ and ‘Phenomenon’. 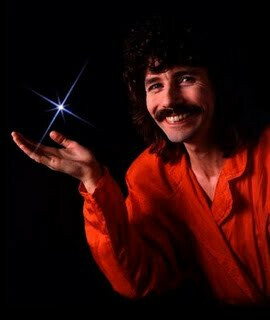 Magician Doug Henning was a bloody renowned Canadian expert in magic magic magic escape and illusion. He started the action as a stage magician at his birthday party that when he was 14 years old. Henning has a famous show entitled ‘Spellbound’ in which he has played theatrically in magic, combined with drama and music. Henning died of liver cancer in 2000 in Los Angeles. Harry Blackstone is one of the great magician in the 20th century with the genre of magic illusion. He has a real name Harry Boughton. Very famous action stage is when he asks his female assistant to lie on stage then he covered it with a cloth and then she would float and then suddenly disappeared. Then also when he cut his female assistant in half with a saw blade rotating cylinder. Her stage act even continue to live and be an inspiration to magicians today. David Copperfield or David Seth Kothkin whose original name is most famous illusionist Danter successful in the 20th century, according to Forbes magazine. He started learning magic at the age of 10 years and around her neighborhood she was known as “Davino – The Boy Magician ‘. His action is spectacular and famous as it penetrates the wall of China, eliminating the statue of liberty, cut myself into two parts, sleight of hand with the laser, etc. He also has a museum in the USA called the International Museum and Library of the Conjuring Arts objects and books containing historical books in the world of magic. David Blaine began his career in the world of magic on the ABC television network to show the title of which is ‘David Blaine: Street Magic’. The most famous action among others, ‘Buried Alive’ that is when he is buried alive inside a water tank with a weight of 3.5 tonnes. Then another tumultuous action is ‘Frozen in Time’ where he was frozen in the ice with the blade of the time record for 63 hours 42 minutes and 15 seconds. Other action is ‘Vertigo’, which stands on a 30 meter high mast in the city of New York for 35 hours straight. 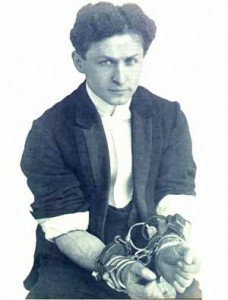 Harry Houdini was a magician famous in the 19th century with the original name Erik Weisz. He is an illusionist and escapologist. His career began as a magician in a circus where he often played card magic since he was dubbed King of Cards. But making a big name is magic to escape. His act is the famous escape from a special handcuffs, then escaped from the milk tank and escape of water torture device. In fact he had also been buried alive by using a special suit he inserted into the soil and buried with sand.